In what could be another part of the strategy to ease up on Will Byers, Stranger Things is reducing its episode count for season three, TV Line reports. The publication confirmed that the third season, which will jump forward one year to give the boys a chance to geek out over Goonies and Back To The Future, will have just eight episodes. There’s no official word on why the number of installments dropped from season two, but production is already slated to begin in April, with all of the core cast returning. 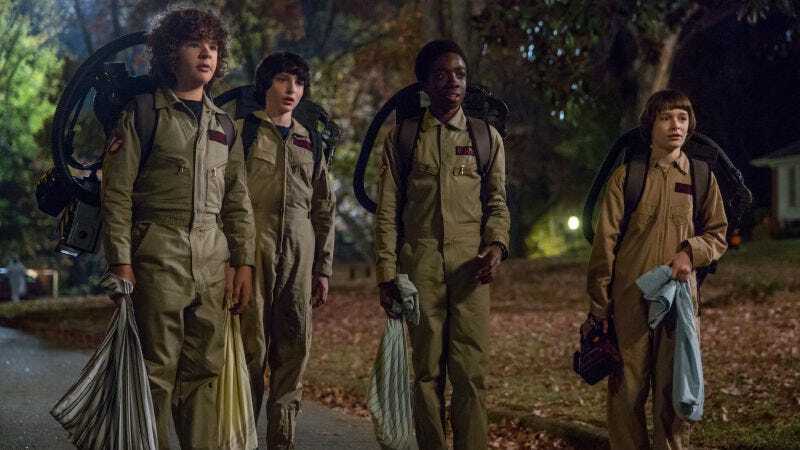 The time jump should account for a growth spurt or two, but Netflix is probably wishing it had been able to shoot seasons two and three back to back in order to catch Noah Schnapp, Finn Wolfhard, Caleb McLaughlin, and Glenn Matarazzo at their cutest.